The UNLV AMA is going to New Orleans!! 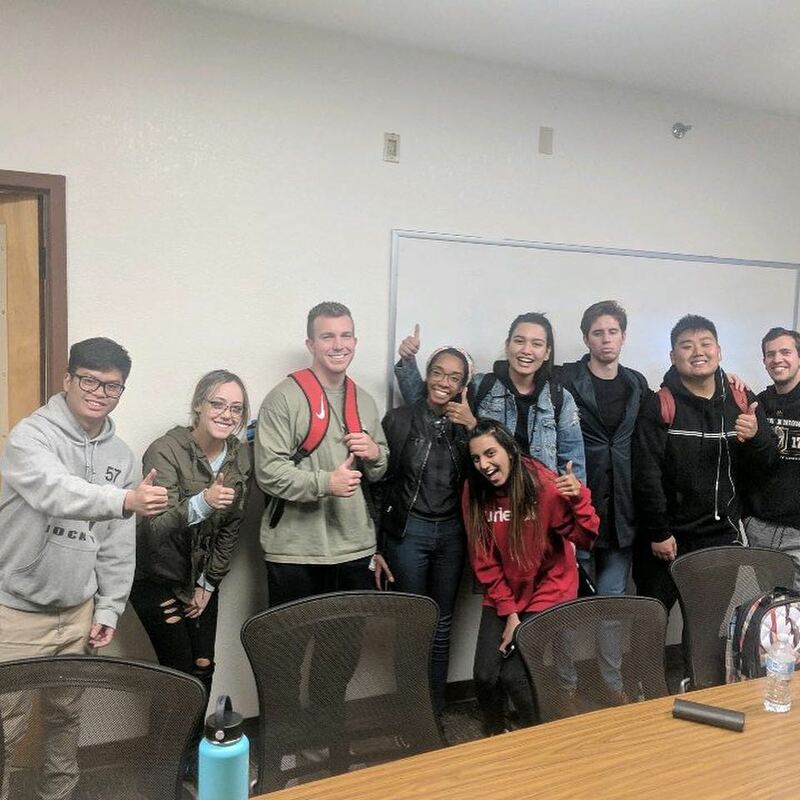 We are happy to announce that the UNLV AMA is through to the finals of the 2018/19 International Collegiate Case Competition! The American Marketing Association’s 2018/19 Case Competition invites chapters to develop a comprehensive marketing plan for The Wall Street Journal to overcome these perceptions in Generation Z, and increase memberships & relevance amongst college students across the U.S.
We will be traveling to NOLA in April to present our case to the judges. Wish us luck! Hello everyone! I hope everyone had a wonderful Spring break. This past week, UNLV was fortunate enough to attend this year's International Collegiate Conference hosted in New Orleans. The AMA International Collegiate Conference is one of the best investments you can make as an aspiring marketer. It is a great opportunity for undergraduate Marketing students wanting to learn from industry professionals about careers and cutting edge Marketing and Sales practices. AMA collegiate chapters celebrated their successes and learned Best Practice chapter management techniques, and students and AMA faculty advisors networked with their fellow peers. We are proud to announce that the UNLV AMA came in 6th place for Best Collegiate Chapter this past weekend at the Collegiate Conference. This was out of more than 400 chapters internationally. It was a great professional development opportunity for all of the members involved. We cannot be more proud of them and all of the hard work they put in. Thank you for a wonderful year and we look forward to the next! UNLV AMA Presents, “Your Professional BIO” Workshop. Our advisor, John (Jack) Schibrowsky, will be running the workshop. He will be explaining how to write a bio, and all the benefits that come with having a professional bio. This is a great professional development experience. Make sure to bring something you can use to take notes. We hope to see you all there! If you cannot make the meeting or have any questions, please feel free to contact us at unlvama@gmail.com. UNLV AMA Western Regional Conference, January 27th! The UNLV AMA is proud to be hosting the 2018 regional conference in Las Vegas. Schools from around the country are invited to join in on marketing competitions, networking seminars, etc. We currently need help setting up events and scheduling / allocating rooms for said events. For more information please contact us through the email below. We have been contacted by the LBS Career Services to help develop a marketing plan for them. For more information please contact us through the email below. The Variety of Southern Nevada is a non-profit organization that hosts the official Oscar's Viewing Party in Las Vegas. They have tasked us with "millennializing" the party and attracting a younger demographic (18-24). We're also tasked with finding local Las Vegas celebrities to attract millennials, as well as be a part of the PR event. For more information please contact us through the email below. We look forward to hearing from you all, and have a great holiday weekend! On behalf of everyone in AMA, we wish you good luck on your finals! We have had such an incredible semester, with so many active and intelligent students. Best of luck with your finals and we hope you have a wonderful, stress-free Winter break. See you in January! Final Case Team Meeting - ALL-NIGHTER! The AMA Collegiate Case Competition, began in 1986, is a yearlong event that brings together top marketing students to work on a marketing challenge submitted by a sponsoring organization. The Case sponsor provides a detailed marketing problem for which it is looking to gain the perspective of AMA’s best students, who will compete by developing a marketing strategy in a nationally recognized competition. The Case Competition is open to undergraduate student teams at schools that have an affiliated AMA Collegiate Chapter. With the 2017-2018 AMA Collegiate Case Competition deadline coming to a close, it has been a pleasure working alongside such a talented group of young professionals. This case has helped students grow and learn important skills and abilities that are needed in a professional environment. With the final case being due at 10am, we have chosen to pull an all-nighter and revise our project to meet our high standards.